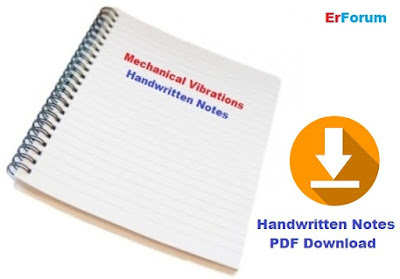 Vibration analysis handwritten note available for GATE, ESE, PSUs and other competitive exams. It is in GATE Syllabus under Section 2: Applied Mechanics & Design. It is one of the important subjects for Engineering Services Examination too.